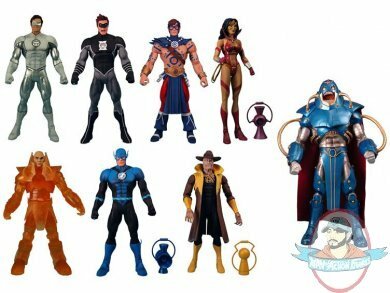 The heroes and villains of the DC Universe are back with the DC Heroes Wave 17 action figures! Each 7" figure comes with accessories and a detailed sculpt, plus parts to construct an exclusive Anti-Monitor figure! EACH ABOVE FIGURE INCLUDES A PART TO BUILD THE COLLECT AND CONNECT FIGURE Anti-Monitor.